Castlebar Town Council accorded a Civic Reception to Nacie Rice, Deputy Commissioner of the Garda Siochana at Lough Lannagh Holiday Village. L to R Lynette and Jennifer Rice, Marie Crowley Town Clerk, Nacie Rice, Cllr Brendan Henaghan Town Mayor, and Marion Rice. Photo Tom Campbell. Castlebar Town Council accorded a Civic Reception to Nacie Rice, Deputy Commissioner of the Garda Siochana at Lough Lannagh Holiday Village. Assistant Commissioner Nacie Rice Photographed with members of the Rice family and Town Mayor Brendan Henaghan. Photo Tom Campbell. 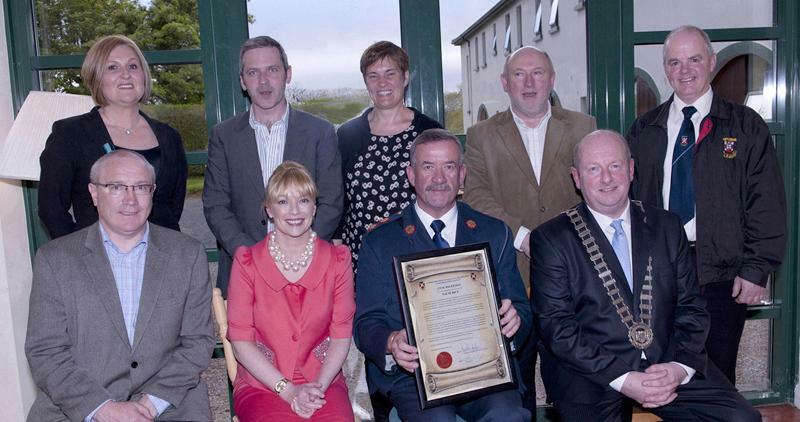 Castlebar Town Council accorded a Civic Reception to Nacie Rice, Deputy Commissioner of the Garda Siochana at Lough Lannagh Holiday Village. Cllr Brendan Henaghan Town Mayor, Presenting Scroll to Nacie Rice Deputy Commissioner of the Garda Siochana at a Civic Reception. Photo Tom Campbell. Castlebar Town Council accorded a Civic Reception to Nacie Rice, Deputy Commissioner of the Garda Siochana at Lough Lannagh Holiday Village. LtoR Jennifer Rice, Nacie Rice Deputy commissionerof the Garda Siochana, Marion and Lynette Rice. Photo Tom Campbell. 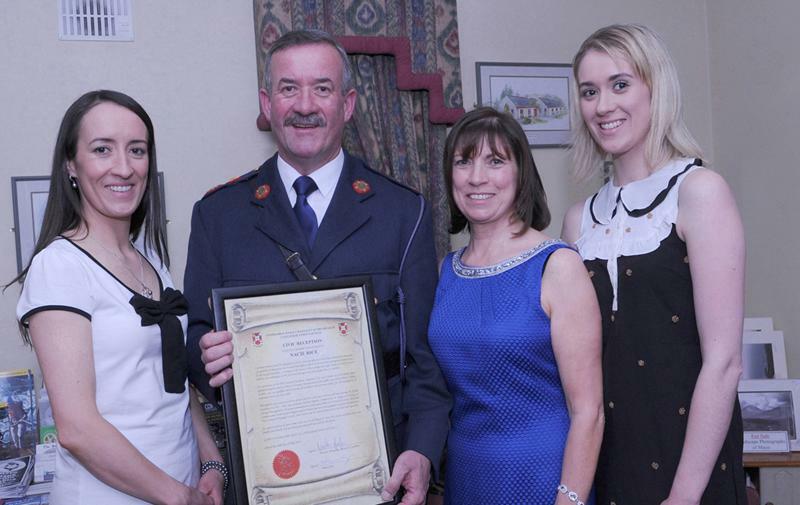 Castlebar Town Council accorded a Civic Reception to Nacie Rice, Deputy Commissioner of the Garda Siochana at Lough Lannagh Holiday Village. Mary McHugh Welcome Inn, Brendan Henaghan Town Mayor, Commissioner Nacie Rice, Supt Pat Diskin, Anne McHugh Welcome Inn Hotel. Photo Tom Campbell. Castlebar Town Council accorded a Civic Reception to Nacie Rice, Deputy Commissioner of the Garda Siochana at Lough Lannagh Holiday Village. L to R Cllr Eugene McCormack, Marie Crowley Town Clerk, Assistant Commissioner Nacie Rice, Brendan Henaghan Town Mayor, Back L to R Councillors Noreen Heston, Ger Deere, Therease Ruane, Michael Kilcoyne, Blackie Gavin. Photo Tom Campbell.